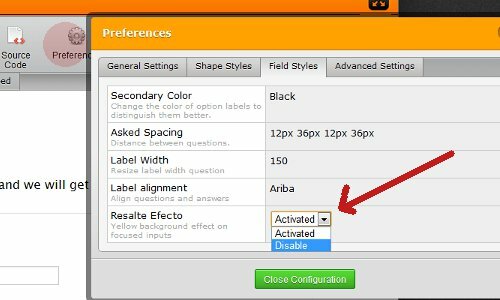 How to set an image as my form's background? But it didn't take hold. No background appeared. Not sure if it is due to the purple background I had setup as a test that I still have in place. I made many attempts but was also having trouble getting my background to even appear at all. Ultamitely I just want to have my background page wide in behind the prepopulated jotform. Just edit the text in red with the correct URL for the image that you intent to use as a background. 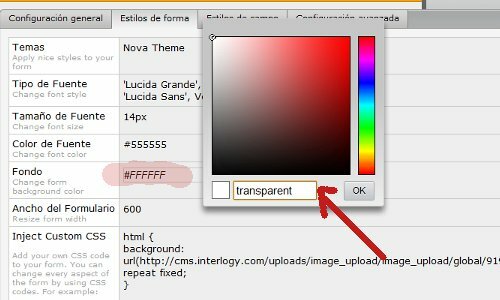 Once you have inserted the CSS code, please make sure to set your background to transparent (Here is a guide if you need detailed instructions on how to set the form's background as transparent). Click OK and make sure to save the form. Here is a clone of your form to see the end result. No Way. That is Awesome! So close but no cigar. There is a strange problem. I cannot figure it out. The changes are not being saved. I read other posts. This is different I think. The background is not showing up. Looks like an old version of the form keeps showing up. Tried other browsers. What u make of it? Good luck with that one! Ha I gotchu this time! Please let us know if the problem is still exist after clearing your page cache. Hello, Yes I even tried other browsers that have never loaded it before. I hope this helps and would solved your problem. Please let us know if the problem is still there after doing this. I tried the www. tip to no end. I will look for more clues for u guys. I'll try to give u something more to work with. Tried www. tip and cloning the forms tip. Direct Links to the form2 displays as the right one. I will make a change on form2 other then the background to see if it shows up. I notice that when the form is displayed and I click on a field it all gets highlighted covering the background. You can dissable this by going to your form and clicking on the "Preferences" icon at the top. The dissable option is on the "Field Styles" tab. From your previous posts, that is what it should look like. Correct? They are reflecting the changes on your current form (testing field at the bottom). that would allow form2 to prepopulate. 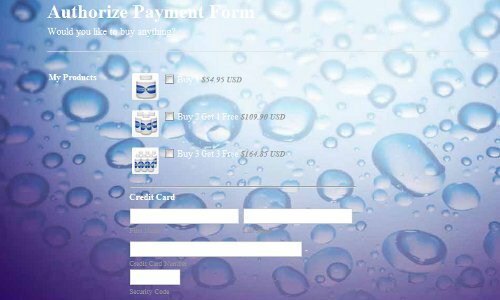 Your problem can be solved easily by changing the $url1 variable to http://www.jotform.ca/form/22584430005242? Form URL's with www are always kept updated. If you want, you may use that subdomain for all your forms. I tested it on my end and it is indeed working perfectly. It started following a number of design and other additions that I made to the form. Any idea what the most likely culprit is? There was a section of the form that I removed which was the Authorize.net Header part. I replaced it with a custom header so. Anyways could sure use some help on this as I am at a loss. We'll be glad to look into it for you. Please start a new thread for this question. Thank you!